My son and I just got back from watching 13 Hours: The Secret Soldiers of Benghazi. 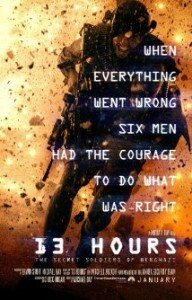 The film takes place on September 10-12, 2012, with the majority of the action taking place on the anniversary of 9/11. As most every knows by now, an American diplomatic compound and CIA annex were attacked by Islamic radicals. Backup never came from our government, and four Americans died, including U.S. Ambassador to Libya, Chris Stephens. C.T. Rex at Hot Air has a good review of the film, so I won’t do that here. And all this because it didn’t fit the narrative of the Obama administration’s claim that it had the war on radical Islamic terrorism (not that they would ever call it that) under control. Especially because there was an election coming up in two months and by golly, they were not going to let reality or the truth get in the way of their political power. Something tells me that if Donald Trump becomes President of the United States, the lives of American citizens will never become hostage to politics. After eight years of the Obama administration, and the political dissembling of the Republican establishment, it is little wonder Trump leads in the polls. Support the truth. 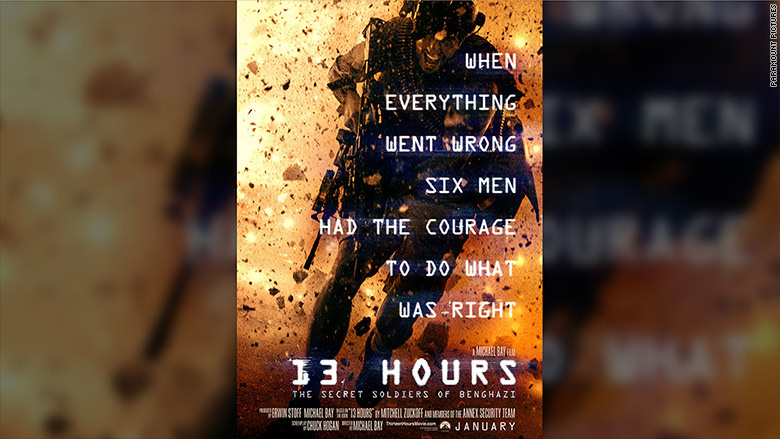 Go watch 13 Hours: The Secret Soldiers of Benghazi, and mourn for those who gave their lives for political expediency.